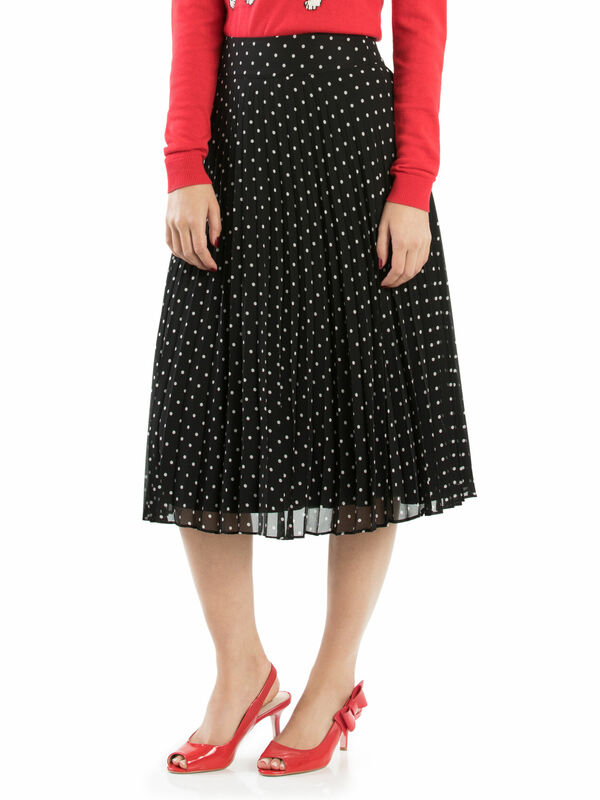 Beauty Spot Skirt https://www.review-australia.com/au/beauty-spot-skirt-black/RE19SK133.REBLK009.html Spring into autumn with the Beauty Spot Skirt, a long, flowing pleated navy skirt, with cream polka-dots to enliven any outing. A silk lining ensures max comfort, while a hidden zipper on the reverse promises a graceful fit. Beauty Spot Skirt is rated 5.0 out of 5 by 4. Rated 5 out of 5 by 2beamermaid from Flattering skirt I didn't believe I could wear this skirt as I am fairly short and size 14 but I love how it looks on me and am loving the quality of the skirt. Rated 5 out of 5 by wicky13 from Perfect Skirt The Beauty Spot Skirt is a lovely, floaty feminine skirt. Could be worn on many occasions and is a real asset to your wardrobe. Rated 5 out of 5 by LisaT from My new favourite! This skirt is just amazing! 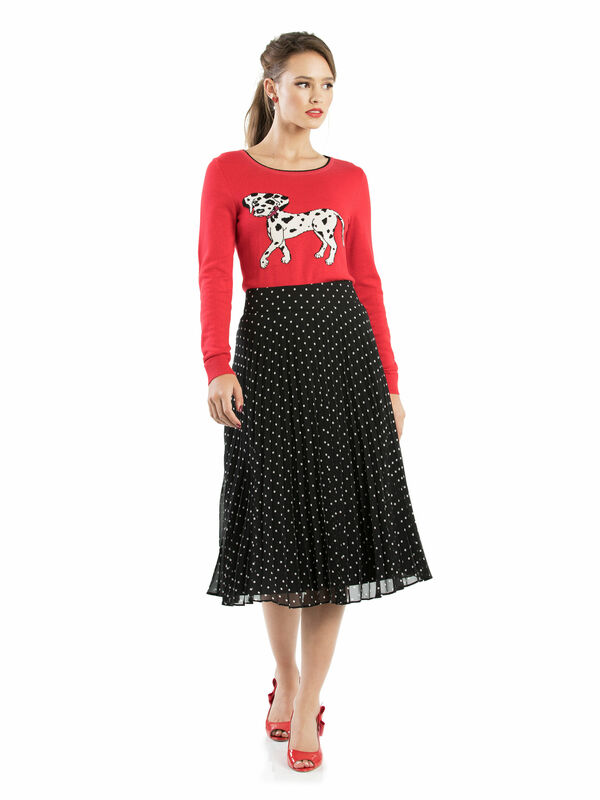 Whilst polka dots will always be my fave, this skirt has so many other fantastic features going for it. The length is just divine, perfect for the change of season. It's super floaty and can be worn for casual weekends or dressed up for work. Rated 5 out of 5 by Kimbo from Gorgeous and versatile. A lovely item added to my! I bought this recently. It's wonderful for all seasons. Naturally black and white is a versatile base and I can dress it up or down. Very happy! !